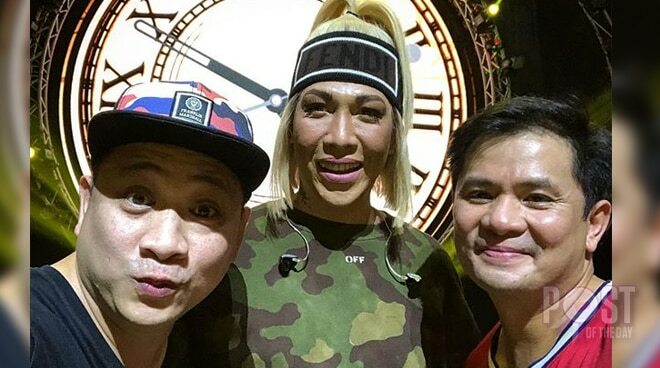 Michael V took his followers on Instagram by surprise when he uploaded a picture of himself with Vice Ganda and Ogie Alcasid. As comedians from rival networks, netizens were delighted to see all of them in one photo. "Yung mas pa-girl pa ang smile namin kesa kay Vice," Michael said in the caption. The Michael and Vice were both at the Araneta Coliseum last night to support Ogie's 30th anniversary concert.